Now that it is summer and you are no longer in school, you have a bit more freedom in terms of what you can wear. When you are in school, and even in college, there are dress codes that you will have to abide by. You may not be able to wear the clothes you want and you may not be able to wear your hair or makeup the way you want to either. Now that you’re no longer in school, you can wear your makeup and hair however you want. It’s a form of self-expression. If you were wondering about some of the hottest ways to wear your makeup this summer, here are some ideas. 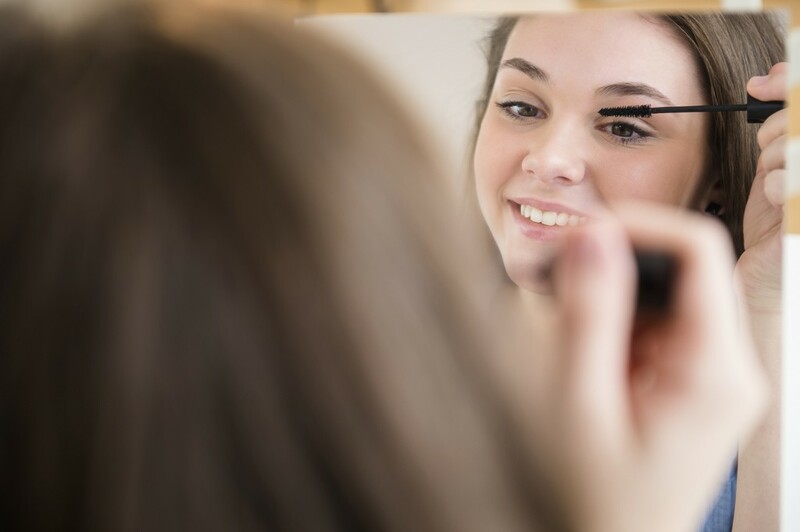 The first thing you will want to consider when you are deciding how to wear your makeup is what kind of day it is. If it’s hot and humid outside, you may want to take it easy with the amount of makeup you pack on. You also want to consider what you will be doing that day because you certainly do not want any makeup just running down your face. That surely won’t look good. With this in mind, one of the easiest makeup looks follows. The first thing you will want to do is to wash your face with some exfoliator. Aveno Daily Brightening Scrub is a great product to use. Once you have cleaned your face, you can apply some light moisturizer. You may want to apply a moisturizer with a sunblock in it if you are going to be outside in the sunlight for quite a while. Once you’ve applied your moisturizer, you will want to apply some foundation. Now that it is summer, you can apply your foundation in a bit of a tanner shade. You will want to apply some blush on the apples of your cheeks and follow the blush with some bronzer. Your best bet would be to apply the bronzer with a kabuki brush. Once you’ve got your foundation set, you can work on your eyes. If you plan to wear eye shadow you will want to apply some primer first. Urban Decay Primer Potion is a great product to use. You can then apply your eye shadow, followed by eyeliner and mascara. Big lashes are all the rage this summer, so you could try out L’Oreal Voluminous False Lashes mascara to get that effect. If you want to wing your eyeliner out for a bit of a cat eye look, go for it. It always looks great! Do what you want with your makeup. School is out for summer so you can now express yourself better than you were able to all school year. If you were wondering about how you could do your makeup this summer, you now have some ideas. You can easily make these ideas your own and use any colors that you want in your looks. Have fun with your makeup and do not be afraid to try something new! About the Author: Millie Anderton is a full time college student who writes for her local paper. She blogs about makeup, beauty, health, and exercise. She loves the Riiviva Microderma brasion system.